Mimosa trees, also known as silk trees, can grow up to 30 feet tall with proper care and pruning. 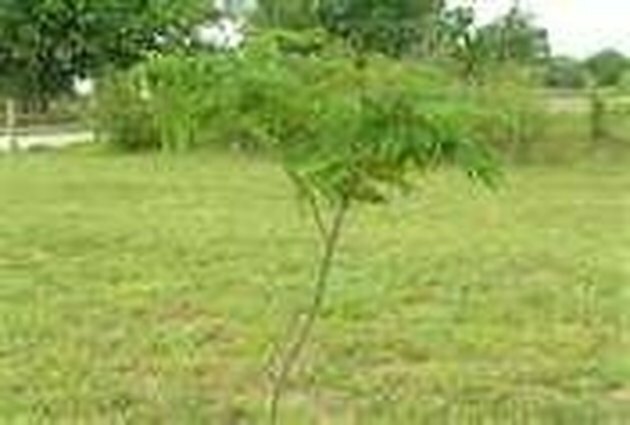 Pruning is necessary to control the size and shape as the tree grows because mimosa trees have slender trunks that are susceptible to breaking. Inspect the tree for unwanted limbs growing along the lower trunk. Remove these limbs with the pruning shears by cutting just beyond the neck collar (where the limb meets the tree trunk). Do not cut the collar; doing so will damage the tree. Cutting these limbs ensures more growth at the top of the tree. 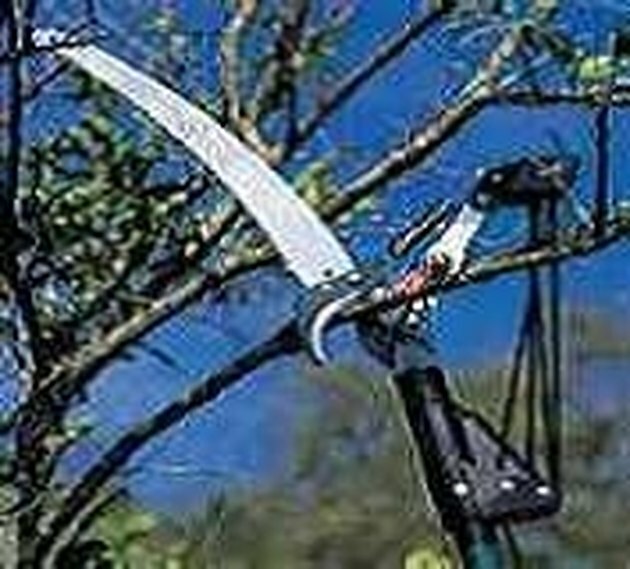 Cut limbs beyond your reach with the pole pruner to either shape the mimosa or to remove dead or damaged limbs. Once again, do not cut the neck collar. 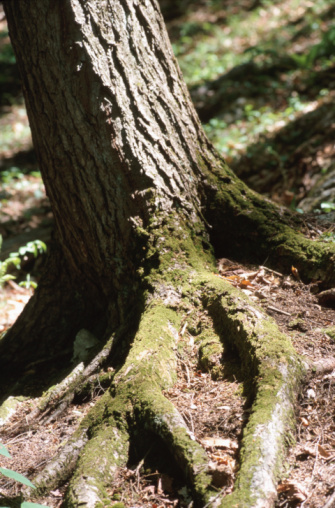 Encourage thick canopy growth by cutting thin limbs approximately 3-5 inches from the end of the limb. Look for small nodules along the limb that indicate budding in previous season's growth. Cut past at least three of the nodules as you move from the end of the branch toward the center of the tree. Try to make the canopy look like an umbrella. This will have to be visually determined by each tree, but any stray limbs that do not fit into the shape of an umbrella will need to be cut at the base of the limb. Clean all pruning tools with antibacterial soap after each use to prevent contamination to other plants or trees. This is a normal step in using pruning shears for any project as some trees and bushes may contain disease or fungus which may be harmful to the next plant the pruning shears are used on.